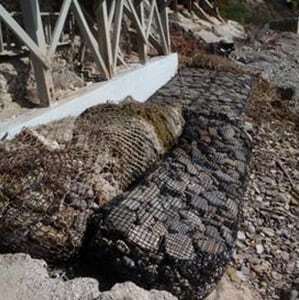 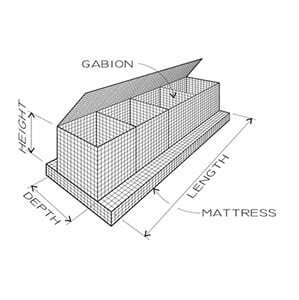 There are two main types of gabions that are suitable for longterm use in salt water environments. 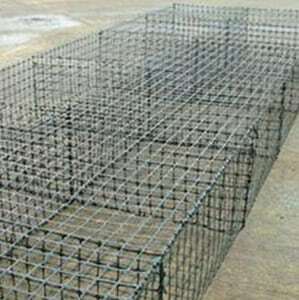 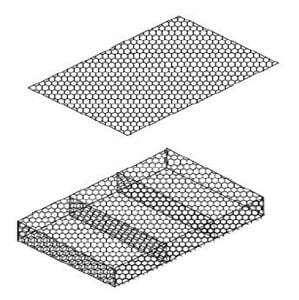 DURA-WELD Custom Gabions which can be made from Grade 316L Stainless Steel offer a variety of options including mesh size and wire diameter resulting in a project with a clean straight face. 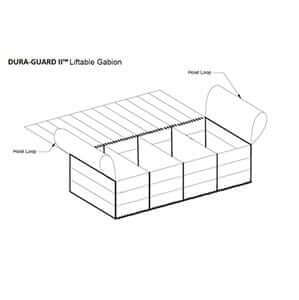 DURA-GUARD Gabions which are made from a UV stabilized Polypropylene Geogrid are a more affordable option that give you long term strength while allowing for flexibility to install in areas that may not be cut completely smooth and flat. 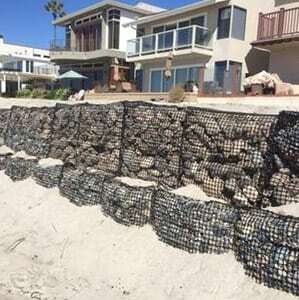 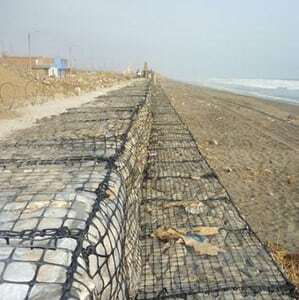 Both options are an excellent choice for long term stability and retention, with the main differences in marine gabions being price and aesthetics.